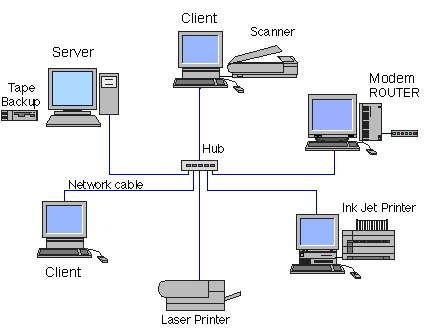 We are able to offer a complete networking service and Installation of cabling and all hardware required to network your office computers. Everyone in the office (or even away from the office) will have access to shared files and programmes. Also you will benefit by having the option of individual mail boxes for receiving personal emails.